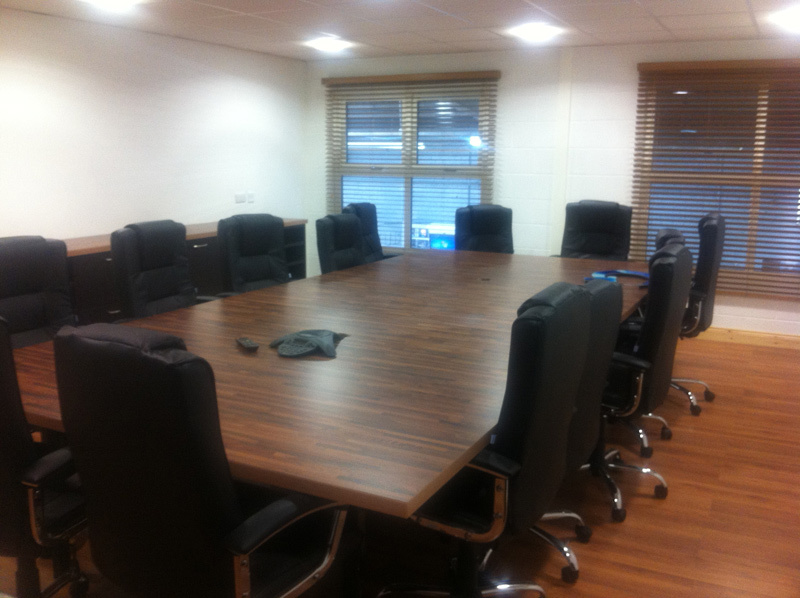 Large boardroom / meeting table with matching cabinet. 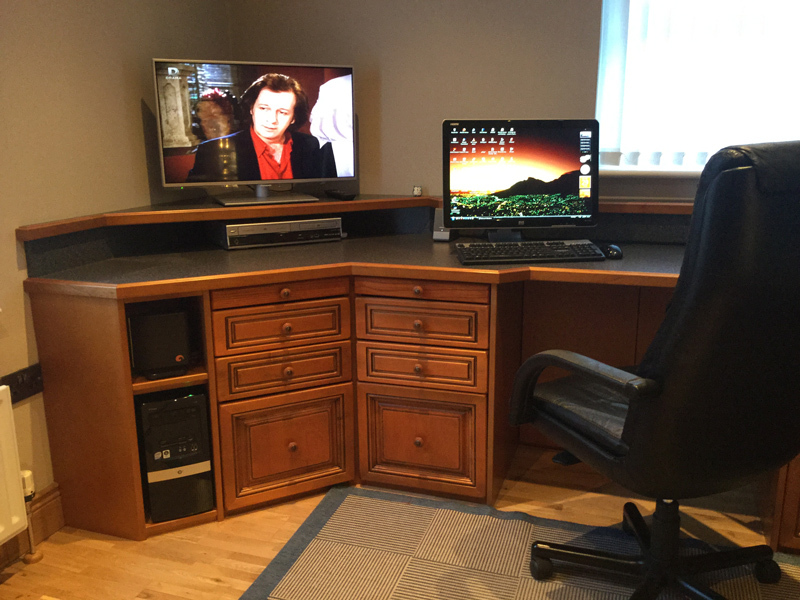 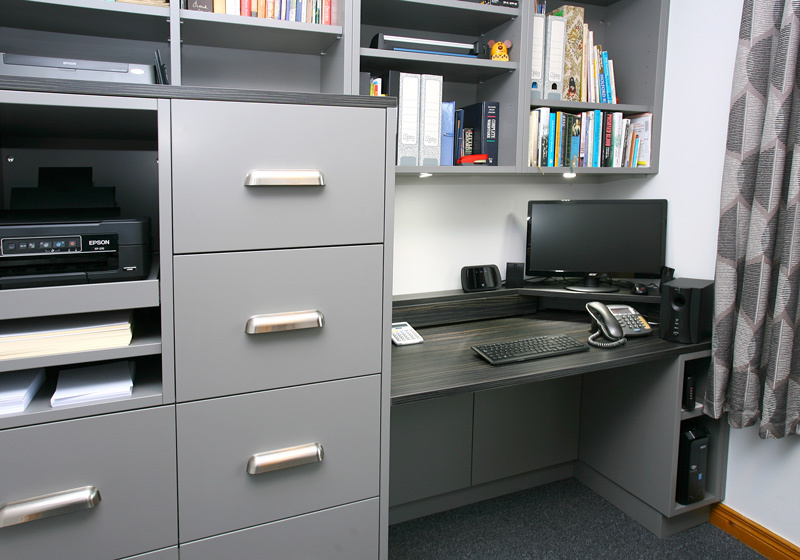 This study furniture is painted Farrow & Ball colour Moles breath, consisting of filing drawers, pull out shelf for printer and open shelving above. 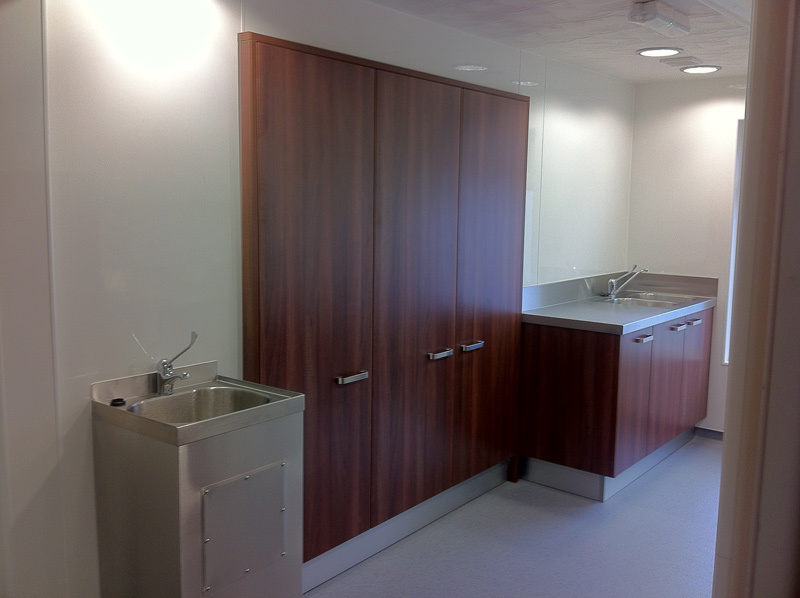 It has ebony laminate tops with raised shelf and hinged panels in knee hole space for easy access to sockets & connections.